YOUNG athletes from Tavistock, Erme Valley Harriers and City of Plymouth were among the medals at the Exeter Combined Events Open Meet. 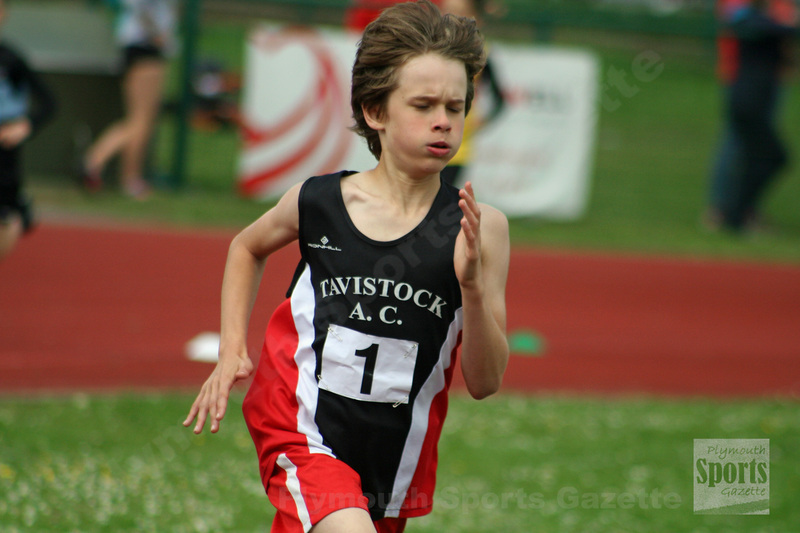 Tavistock’s Nicolas Maczugowski took second place in the under-11 boys’ competition with a total of 321 points. He clocked 13.12 for the hurdles, leaped 4.05m in the long jump, ran 9.19 seconds for the 60m, threw 7.37m in the shot putt and ran 1:58.03 for the 600m. In the same age category, Erme Valley Harriers’ Adam Dingley won the bronze medal with 305 points. Dingley recorded a time of 13.24 seconds for the hurdles, achieved 4.03m in the long jump, ran 9.37 seconds for the 60m, threw 6.35m for the shot and ran 2:02.47 for the 600m. There was also a bronze medal for fellow Erme Valley athlete Ella Isaias in the under-13 girls’ event, which attracted 25 competitors. She scored a total of 2,257 points with a 3.70m long jump, 13.14 second run in the 70m hurdles, a 6.58m shot, 1.51m in the high jump and a 2:36.60 run in the 800m. Another bronze medallist was City of Plymouth’s Toby Clayden. His medal came in the under-15 boys’ competition with a total score of 1,850 points. He ran 13.74 seconds for the 80m hurdles, threw 7.72m in the shot, leaped 4.86m in the long jump and 1.46m in the high jump and ran 2:36.02 for the 800m. 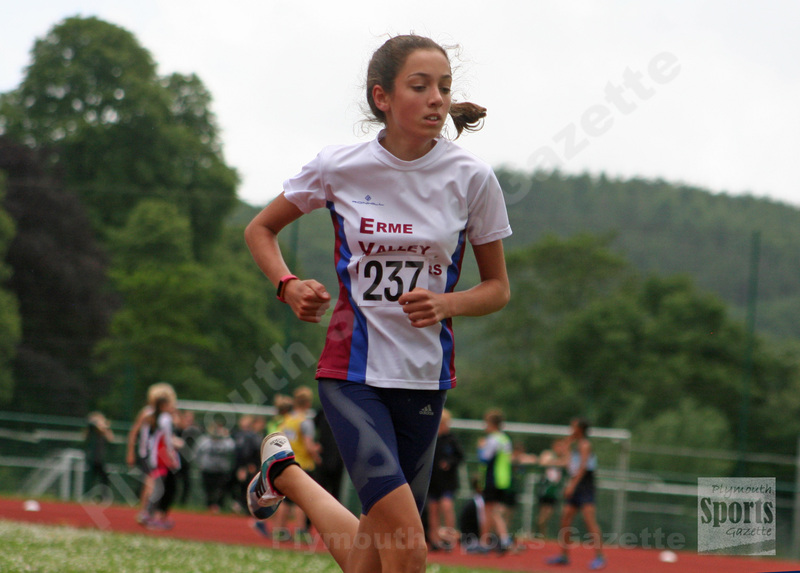 Erme Valley’s Olivia Travers just missed out on a medal in the girls’ under-15 competition. She finished fourth with 2,334 points, while team-mates Estelle Hodges and Ruth Green were 11th and 15th respectively in a strong field. City of Plymouth’s Noah Jones was another to just miss out on a podium finish. He came fourth in the under-13 boys’ event with a new PB 1,430 points. On his way to that score, Jones also set new bests in the long jump (4.28m), shot (6.49m), high jump (1.40m) and 800m (2:39.37). Team-mate Andreas Isaias was sixth with 590 points. In the order age categories where numbers were limited, Tavistock’s Ben Rogers scored 1,312 points to win he under-17 boys’ event. He achieved 4.88m in the long jump, threw 23.73m in the javelin, ran 28.59 seconds in the 200m, threw 20.70m in the discus and finished off with a 5:44.80 1,500m. Erme Valley Harriers’ Liam Hallows scored 1,312 points to claim victory in the under-20 event, which included a 4:52.70 1,500m run. Jones and Maczugowski were among the athletes who returned to Exeter on Tuesday night for their final open meeting of the season. Full round-up of that event to follow once the official results have been confirmed. Meanwhile, Erme Valley Harriers’ Alison Thorn finished third women in the Taunton 10k, with a time of 38.18 minutes.